Gov. Brian Sandoval said he continues to have concerns with a recent order from the Trump administration that changes requirements mining and energy developers have to offset their impact on federal lands. 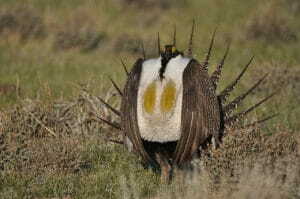 The targeted regulation, known as “compensatory mitigation,” serves as a main part of the state’s Greater sage-grouse plan, completed during the Obama administration. The comments, made at a Western Governors Association workshop on invasive species in Lake Tahoe, came a month after the Sandoval administration sent a letter to the Department of Interior asking it to allow the state to keep the mitigation program intact. The state’s program, known as the Conservation Credit System, allows mining companies — when they want to develop or expand a mine — to offset their impacts by restoring sagebrush habitat elsewhere. Mining heavyweights, like Barrick and Newmont, have already participated in it. Sandoval said state officials are still having conversations with the Trump administration about its future and what the rollback of “compensatory mitigation” means. The credit system helps the state meet its obligations under a 2015 compromise between Western states and the Obama administration to keep the imperiled bird from an Endangered Species Act listing. The Trump administration has made other changes to the 2015 plans. 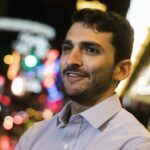 In its letter last month, the Sandoval administration said it largely supports those other amendments.